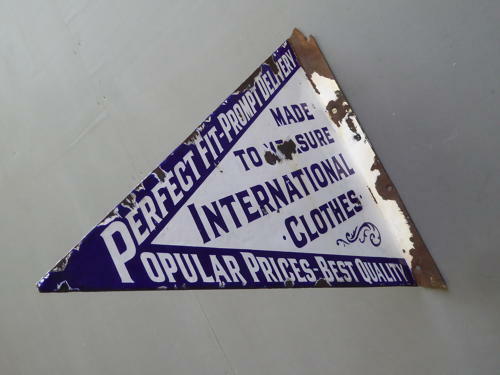 An early & extremely rare antique tailors enamel advertising sign. A wonderful triangular enamel advertising sign feauturing some fantastic typography in a different colourway & design on each side. Wonderful subject matter, a very rare survivor & a stunning decorative piece! Wear commensurate with age as pictured, unrestored with some cracking to top & bottom of flange which remains totally secure.